This series of helpful tutorial videos will help you get up and running in no time with Nagios XI. Watch Nagios sales tech Aaron guide you through the many exciting and various features, tips and tricks of Nagios XI so you can have peace of mind to know your network or anything that you want monitored is in a safe place. Our most powerful IT infrastructure monitoring and IT monitoring software alerting solution for today’s demanding organizational requirements. 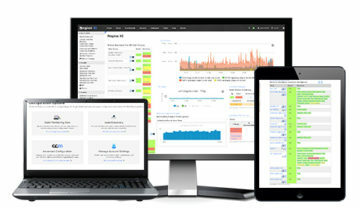 Going beyond basic IT monitoring software capabilities, Nagios XI provides organizations with extended insight of their IT infrastructure before problems affect critical business processes. Designed with both power and ease of use in mind, Nagios XI provides unparalleled usability, flexibility and customizability to meet your needs.